The Pogues are an Irish punk band formed in 1982 and have an outstanding popularity all over the world, and their song Fairytale of New York is known world-wide as a Christmas anthem. Fronted by Shane MacGowan The Pogues were formed in King’s Cross, a district of North London and became popular in the 1980s and early 1990’s. 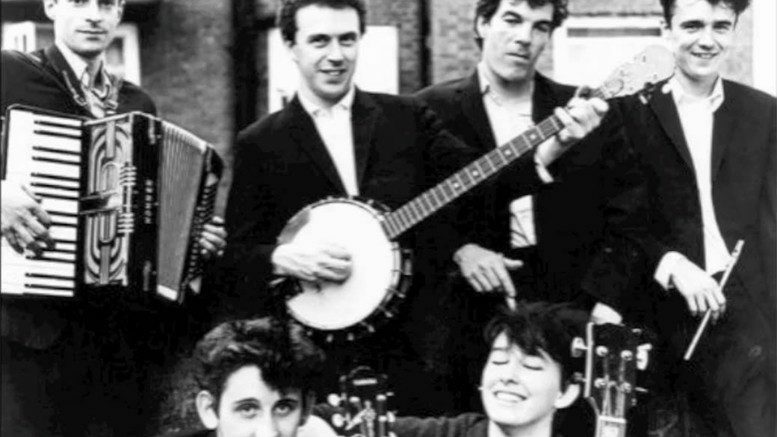 Their main influence was The Clash but they were also influenced by traditional Irish music, punk, and jazz. They used traditional Irish instruments such as the tin whistle, the mandolin, and the accordion among others. Use of guitars was introduced later in their careers. In 1988 the Pogues recorded If I should Fall from Grace with Godand the hit Christmas song Fairytale of New York with Kristy MacColl who died later in 2000 from a boating accident in Mexico. The Fairytale of New York was voted ‘the best Christmas song ever’ in VH1 UK polls in 2004 and in 1989’s Peace and Love, today it still remains one of the most popular Christmas songs. As the band gained commercial success Shane MacGowan’s drink problem increased and in 1991 MacGowan was let go. Joe Strummer continued temporarily on vocals to be replaced by Spider Stacy. In December 2002 Joe Strummer died suddenly at his home in Somerset. The Pogues struggled to maintain their success and after several changes to its members they finally decided to call it quits by 1996. In 2001 The Pogues reformed for a Christmas tour and included Shane MacGowan back on vocals. Back again in 2004 the band played several gigs in Ireland & the UK with Q magazine naming as one of the “50 Bands To See Before You Die”. By July 2005 the played the annual Guilfest festival in Guildford and went onto play 3 dates in Japan where they have a strong following. The success of the band continued as they played to sold-out gigs in the U.S, Ireland, and the UK. Today the still remain popular as ever with The Fairytale of New York loved by millions around the world. In May 2013 band member Philip Chevron passed away after battling with cancer for a number of years. He known as one of the most influential figures in Irish punk music.